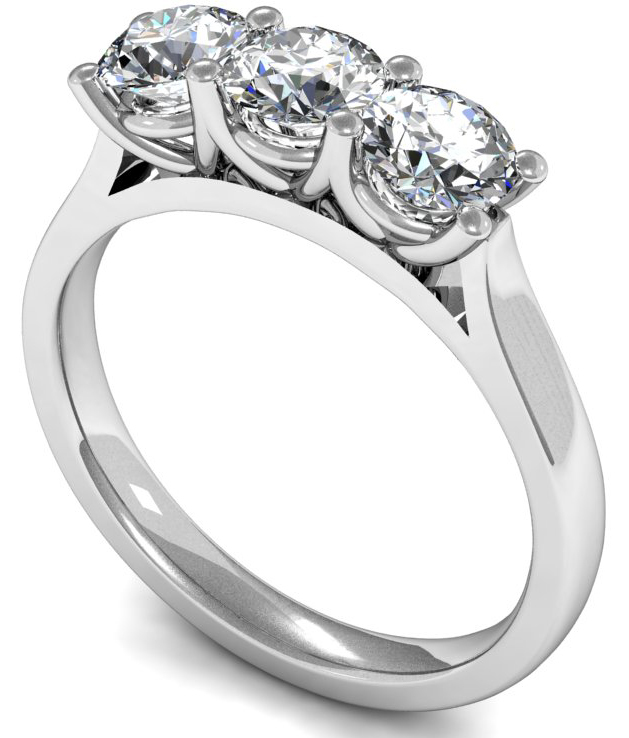 This three stone engagement ring features three identical round brilliant-cut diamonds in a shared claw setting with elegant tapered shoulders. 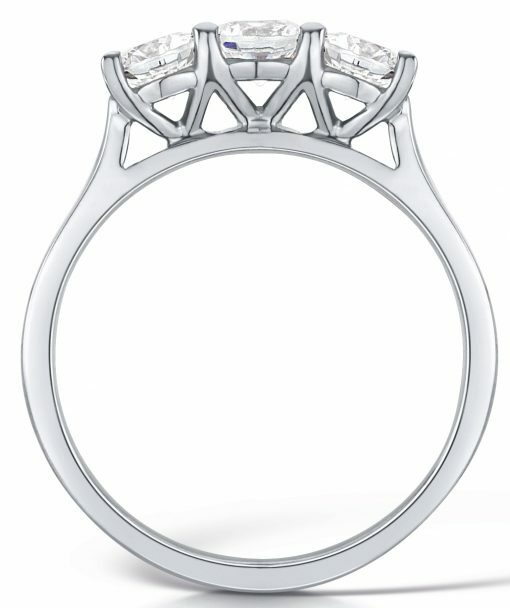 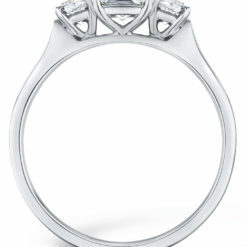 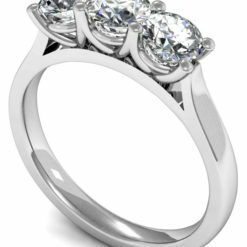 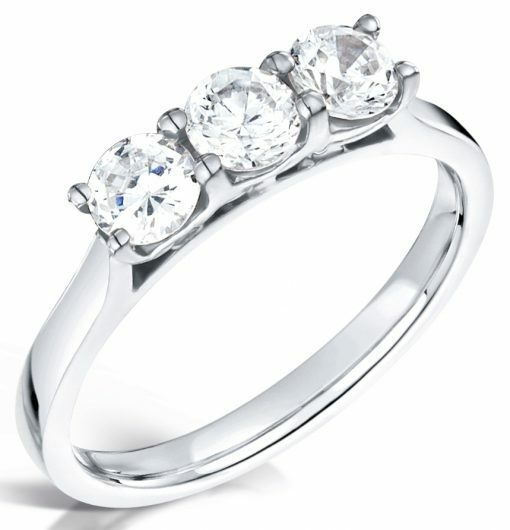 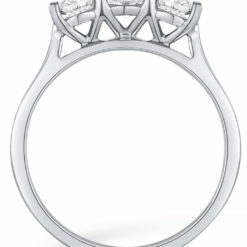 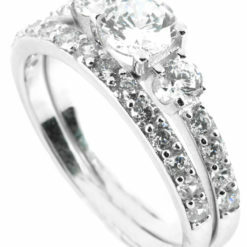 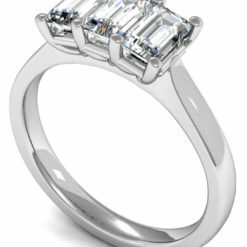 Diamond mount is slightly raised to allow any wedding ring to fit flush under the setting. 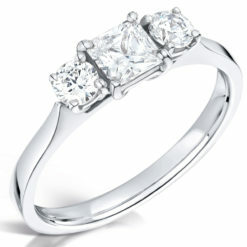 Available in 18k white or yellow gold and platinum.